Thank you for taking the NC REALTORS® general membership survey. We appreciate your time. Your feedback is extremely valuable to us and will help us better serve you. * 1. Please provide us with your contact information so we may follow up with you regarding specific questions. * 2. How many times have you attended NC REALTORS® Legislative Meetings? If never, what would encourage your future attendance? * 3. Who would you like to see at the Legislative Forum? * 4. Do you find the Legislative Rally on Wednesday morning valuable? * 5. Would you consider coming to Raleigh the day of the legislative visits if there were CEs offered on the bus? * 6. 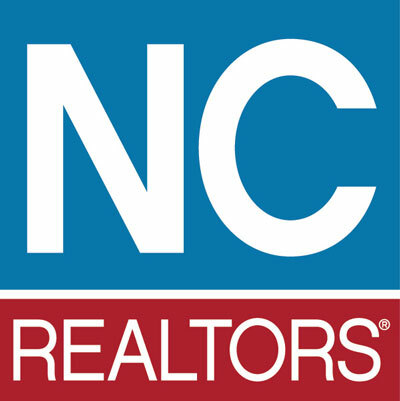 Do you invest in NC REALTORS® PAC? * 7. If you invest in NC REALTORS® PAC at the major investor level ($1,000 or more), what benefits/recognition do you enjoy? What would you like to see added? * 8. Are you familiar with the NC Homeowners Alliance? * 9. What is your preferred method of advocating for homeowner and property rights? * 10. What local homeowner issues exist in your community? * 11. Are you interested in volunteering for NC REALTORS® Housing Foundation? * 12. Are you interested in learning how to become an NC REALTORS® Housing Foudation Board Member? * 13. Please rate your experience with the NC REALTORS® Legal Hotline. If you have utilized the Legal Hotline, what do you like the most and least about it? What recommendations do you have for how it can better serve you? * 14. Are you familiar with the NC REALTORS® William C. Bass Leadership Academy? No; what is the NC REALTORS® William C. Bass Leadership Academy? Are you interested in learning more about the NC REALTORS® William C. Bass Leadership Academy? * 15. Overall, are you satisfied with your NC REALTORS® membership? * 16. How would you rate the overall value of your NC REALTORS® membership? If you answered "Below average," please explain how NC REALTORS® can better serve you. * 17. Are you involved with NAR, NC REALTORS®, or your local association at the Committee or Board level? If not, what would convince you to become more involved? * 18. As an NC REALTOR® member, what member benefits, services or products provide you with the most value? * 19. Do you attend XCHANGE - the NC REALTORS® Convention and Expo? If not, what would entice you to attend each year? * 20. What speakers, celebrities, and industry leaders would you like to see at future NC REALTORS® events? * 21. Where would you like to attend future NC REALTORS® Convention and Expo events? * 22. We have a Yapp app for all NC REALTORS® major events, which was first launched during 2017 Inaugural and used for each major event since then. If you downloaded it, have you found it useful? * 23. How would you rate NC REALTORS® marketing and communication efforts overall? If you selected "Needs Improvement," please explain. * 24. What do you think about the frequency or volume of communications you receive from NC REALTORS®? * 25. How do you prefer to receive NC REALTORS® news and other content? * 26. How much time do you spend consuming video content on a weekly basis - on average (estimate is fine). * 27. How do you consume the majority of video content? * 28. Have you viewed a Mobile Mondays session on Facebook? Not sure; what's Mobile Mondays? * 29. What topics would you be interested in learning about in future Mobile Mondays sessions? * 30. How frequently do you visit the new NC REALTORS® website? * 31. Please rate the new NC REALTORS® website (ncrealtors.org), which was launched in November 2017, based on your experience. * 32. Would you be interested in making a cameo appearance or having a starring role in future NC REALTORS® videos? If yes, what areas of expertise do you have or topics do you suggest? * 33. Are you interested in being interviewed for or writing original content for Insight, other NC REALTORS® owned marketing channels (e.g. blog), or industry publications/outlets? If yes, please identify your specific areas of expertise. * 34. How often do you read NC REALTORS® Insight magazine, which is published and distributed to all members quarterly? If you don't read every issue of Insight, what type of content would compel you to read it more often and share it with your clients and prospects? * 35. How would you rate Insight magazine overall in terms of design, quality of content, frequency, etc.? * 36. Are you interested in presenting your expertise as a speaker or trainer to internal or external audiences on real estate, business, or other related topics? If yes, what topics or special qualifications do you have as a speaker or trainer? * 37. In the past 10 years, how many of your transactions involved international buyers or sellers? * 38. Would you like NC REALTORS® to better inform you on how to capture international transactions? * 39. Are you aware of NC REALTORS® Global Network (global.ncrealtors.org), which launched in January 2018? Not sure; what is the Global Network? * 40. Have you ever visited the NC REALTORS® Headquarters or Raleigh offices? * 41. If you visited one of the NC REALTORS® offices recently, please rate your overall experience with the facilities, location, and staff interaction. If your NC REALTORS® office visit was "Below par," please explain how we can better serve you on your next visit. * 42. Would you like to be a featured member for Member Mondays? Not sure; what is Member Mondays? * 43. Have you used NC REALTORS® newest member benefit Tech Helpline? Not sure; what is the Tech Helpline? * 44. If you have used NC REALTORS® newest member benefit, Tech Helpline, how would you rate the benefit?